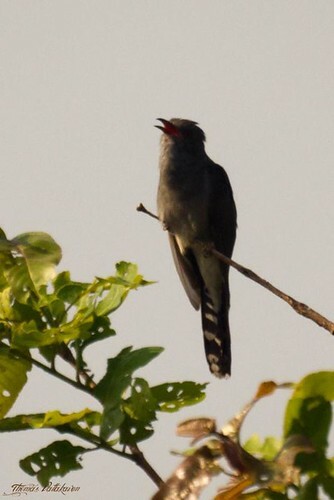 The Grey-bellied Cuckoo or the Indian Plaintive Cuckoo, (Cacomantis passerinus) is a small hawk-like bird that beongs to the Cuckoo family. 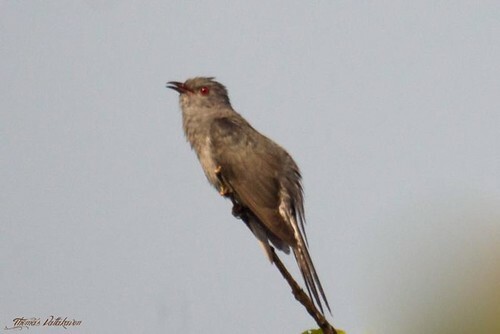 Males are a dark ashy colour with dark brown wings. 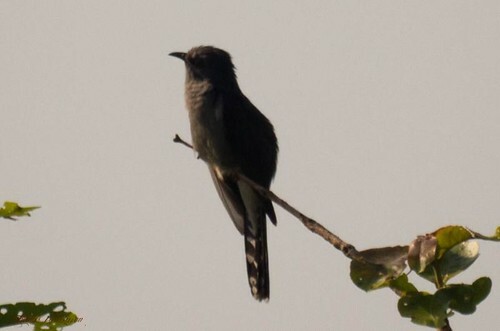 The tail is nearly black, the outer feathers banded with white. 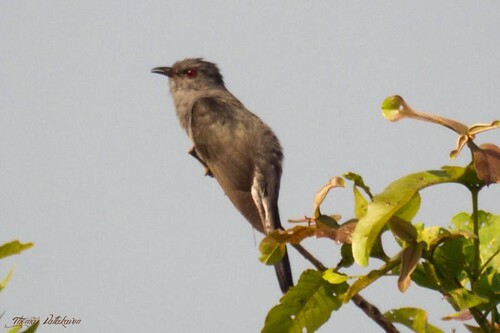 Females are bright chestnut, the back and wings barred with black, the head, neck and rump irregularly spotted with black. 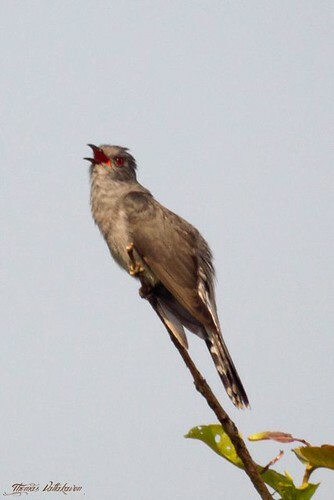 However, the plumages and plumage-stages of this Cuckoo are very variable. 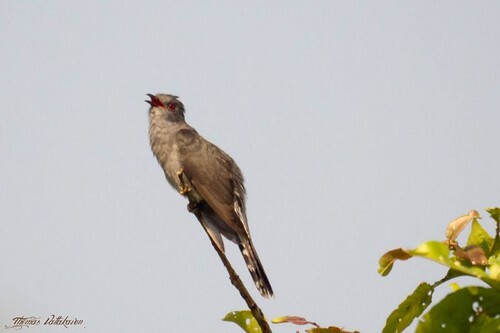 The Iris is reddish-brown, unlike that of the Common Hawk-cuckoo which has a yellow iris. The bill is curved and dark brown ; legs dingy yellow or brownish-grey. 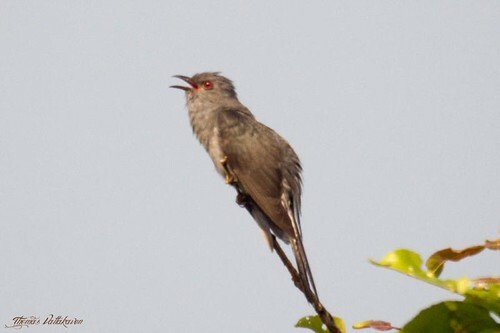 The bird is widely distributed in India, but is more common among the Western Ghats. It is best known for its call, which is a clear loud plaintive whistle ca-weer, with a vetriloquial effect. It calls by day, dusk and moonlight nights too. 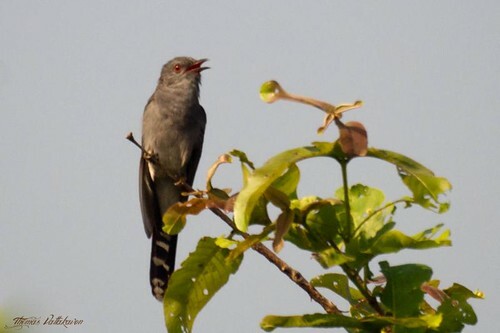 It is found in open forests, scrub, groves etc., where it may commonly be spotted calling from the tops of trees or within them. Its food consists mainly of caterpillars. Wren-Warbler, the Fantail-Warbler and the Tailor-bird.